Last night, H&M opened its doors to Kuala Lumpur’s hottest celebrities, personalities and members of the media for the exclusive pre-launch party of its first full concept store in Malaysia located in Lot 10, Bukit Bintang. More than 1,800 attendees comprising celebrities, VIP guests and the media had first views of the latest Autumn Winter 2012 collection in the brand new store, spanning three storeys at 36,000 square feet. Guests were invited to shop at a 20% storewide discount and were treated to free-flowing champagne. 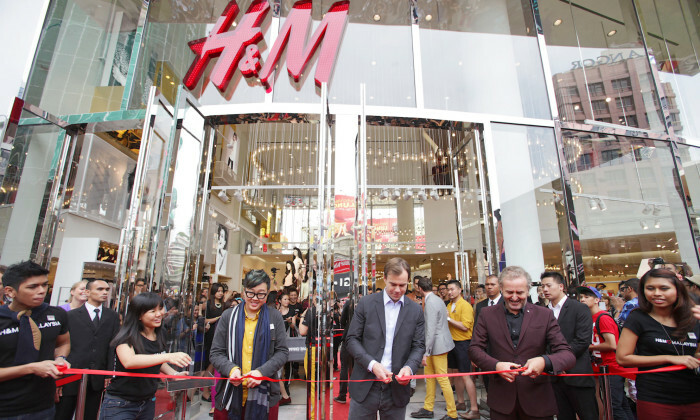 According to sources, the launch of H&M KL is in similar vein of those of all other H&M outlets around the world. The event was graced by Malaysia’s most notable names, such as singer Yuna Zarai, Soo Wincci, Belinda Chee, Elfira Loy and Mizz Nina, who were dressed by H&M in its outfits. H&M’s official opening is at 11am tomorrow. Fans have been queuing up outside the store since 7am this morning and he expects more than 1,000 to join the queue. H&M will be giving away a RM500 voucher to the first in line, RM200 vouchers to the second to fifth customers, while the next 300 in line will be given RM50 vouchers. Malaysians have been anticipating the high street fashion brand’s launch, with H&M billboards, digital out-of-home billboards and print ads seen in and around KL the past month. In a statement to A+M, TCL's spokesperson said Neymar Jr. was a "perfect fit" for the brand, as sport lies in the heart of its glo..
General manager of Dentsu Media Alice Lee gives her two cents on attracting eyeballs on the digital sphere. ..